As it is coeliac awareness week, I thought it would be nice to give a big thank you to some gluten free heroes who have made my life so much easier to deal with since I was diagnosed with coeliac disease. Some of those listed are heroes for providing advice and support, whilst some of them are heroes for providing amazing gluten free food that has helped to persuade me that life isn’t all doom and gloom and in fact I can still eat amazing food and there really is no need to compromise. There are many more who could have been on this list, but for all of those who have given me advice or support over the last few years I really appreciate it. The gluten free community have been such a rock for me, and have inspired me to try and help others. For all those who work so hard to bring coeliacs safe and delicious gluten free food, I thank you all! 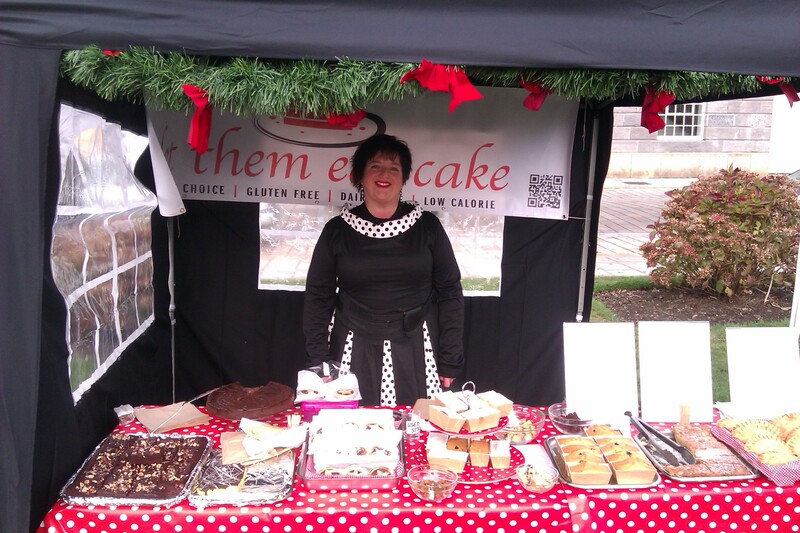 Clare Jones of Clare’s Gluten Free Catering: Clare has been a coeliac for over 40 years and last year started a gluten free catering company. 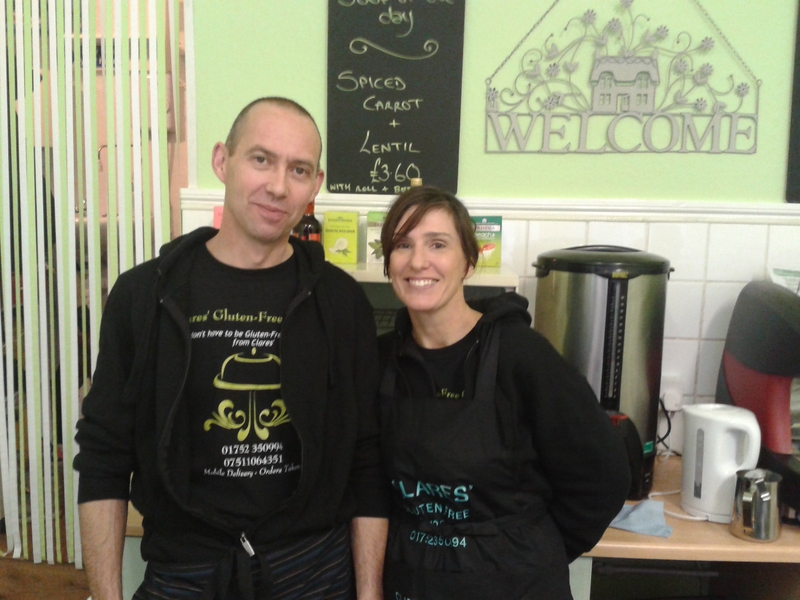 This year with, some huge help from husband Jon, she has opened Plymouth’s only completely gluten free eatery. Clare’s Gluten Free on Bretonside provides a huge range of gluten free sweet and savoury food that is simply delicious. Pasties, pies, chocolate eclairs, lemon meringue pie, scotch eggs, the list foes on. If Clare doesn’t make it she will always respond to demand and give it a go. The cafe is not only a safe haven for coeliacs from a food perspective, but you will find such a friendly atmosphere and you will usually find yourself chatting away to Clare, her family or other coeliac customers. Clare has also been a big supporter of our work at the Coeliac UK Plymouth Group. Dave Cossar & Justin Meaney of JD’s Grill: Finding somewhere to eat out safely is always a massive challenge, finding somewhere to eat safely where the food is good even more so. 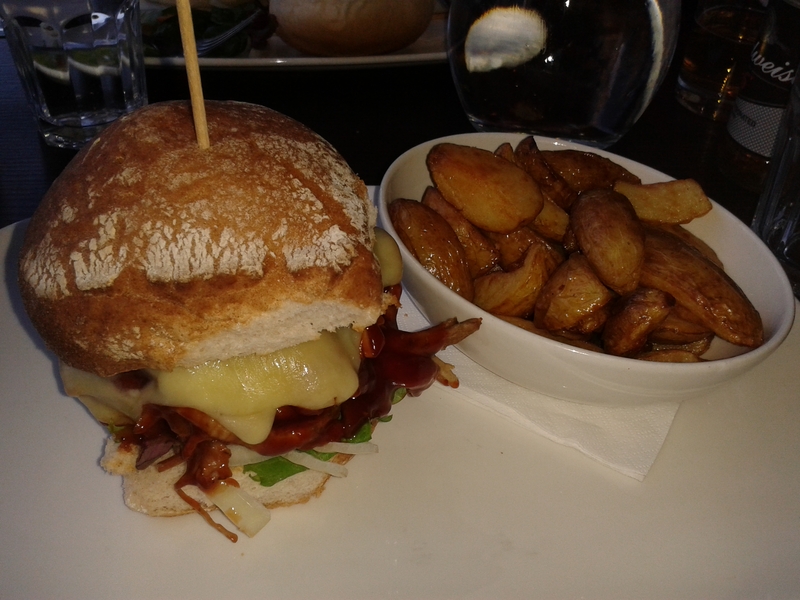 Fortunately for coeliacs and those following a gluten free diet in Plymouth JD’s Grill can do both. I simply love this place, the food is right up my street and Justin and Dave have really gone the extra mile since my original review to expand their gluten free range. They are on a mission to try and find a gluten free option for anything they list on their expansive menu. Fancy a half pound burger made in house from local meat, topped with delicious pulled pork and cheese on a gluten free bun with Cajun spiced fries, that are of course fried in a separate fryer? I am always made to feel so welcome at JD’s and the staff are so knowledgeable and treat gluten free like it is the norm, I am never made to feel out of place. JD’s have also been big supporters of the Coeliac UK Plymouth Group and this week hosted 40 of us for a fantastic gluten free night. Lisa Hackett of Let Them Eat Cake: Lisa herself is gluten free due to Crohn’s disease, and set up her company Let Them Eat Cake to ensure those on a gluten free diet could enjoy food that actually tasted good. Let Them Eat Cake have recently re-branded to Let Them Eat to reflect the increased savoury options they now produce. The company is based in Hatt in Cornwall and I love their ethos of using ultra local produce. Many of the cakes are baked with vegetables to reduce the sugar content and keep them moist and also dairy free, and all vegetables used are from producers in the Tamar Valley, meat is sourced from a local farm and honey from Lisa’s own bees. Lisa is not only a huge supporter of local businesses and but has been a great support to Gluten Free by the Sea along the way. Tom and Phil of Honest Burgers: Tom and Phil will always be heroes of mine for a moment I experienced in Brixton in 2012. 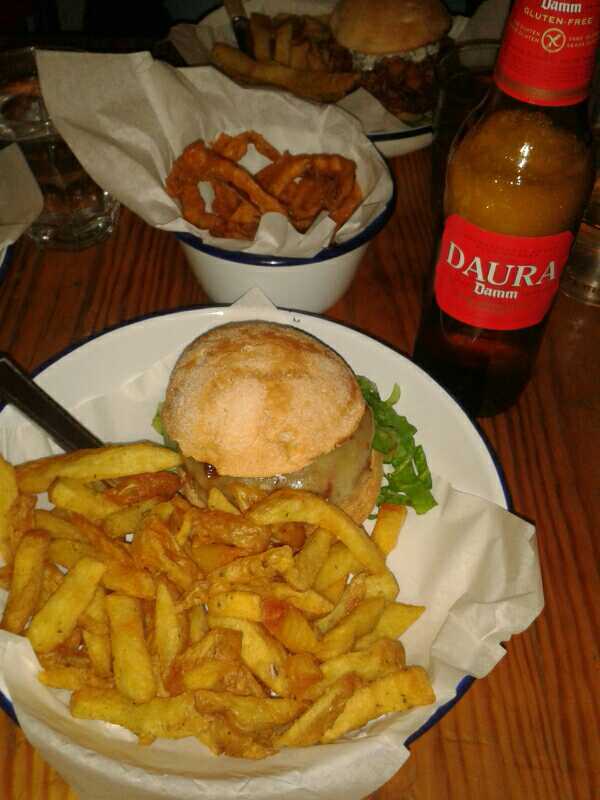 Still in the early days of my gluten free diet after diagnosis I followed a recommendation and set off to Brixton to find a tiny little restaurant in the middle of nowhere (at least to a tourist from Plymouth) called Honest Burger. The restaurant was so busy that we had to wait a long time for a table but when we got one it was worth the wait. I sat down and ate the most delicious burger I had ever tasted, topped with some amazing red onion relish on a gluten free bun with some ridiculously good rosemary salted fries. There was a also a gluten free beer to wash it down with. This blissful moment was the moment I learned that gluten free food didn’t have to be a poor substitute and that by following these recommendations I could actually eat better than before. Honest have grown considerably since and I’m thrilled for their fully deserved success, and I’m always a frequent visitor when I head to London. Ann Perkins of Perkier Foods: Ann is someone who I have had the pleasure to meet at a few of the gluten free “tweet ups” in London. A coeliac herself, she plays an extremely active part in the gluten free community on social media. 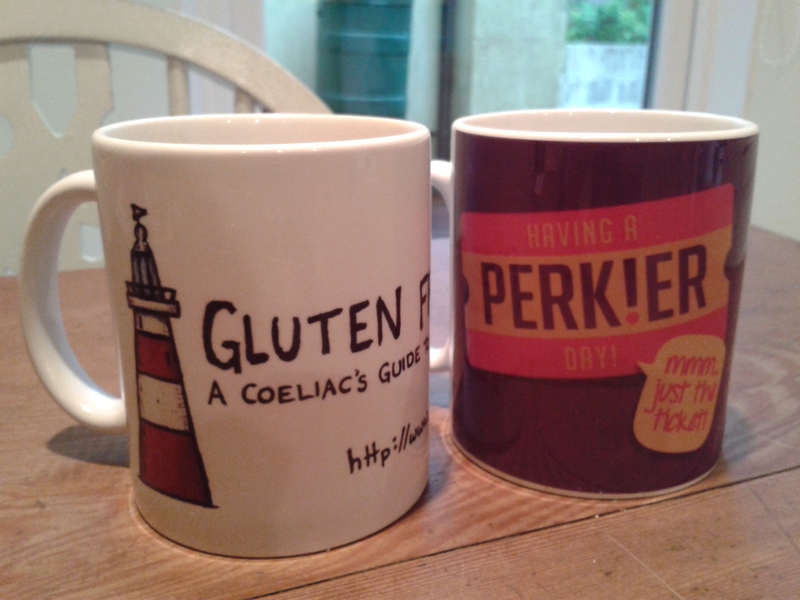 Her company, Perkier Foods, is one that I love as they have really managed to put the fun back into living gluten free. The company just oozes fun from it’s brightly coloured packaging, playful competitions, hilarious social media banter and not to mention delicious gluten free treats. The personalities of Ann and fellow Perkier founder Steve Turner very clearly come through. Ann always seems to find time in her very busy schedule to give the gluten free community a voice, supporting local Coeliac UK groups and being vocal about coeliac disease. Jo Haimes of Eggbuckland Fish and Chip Shop: Many coeliacs will tell you that not being able to eat fish and chips is one of their biggest losses when diagnosed. 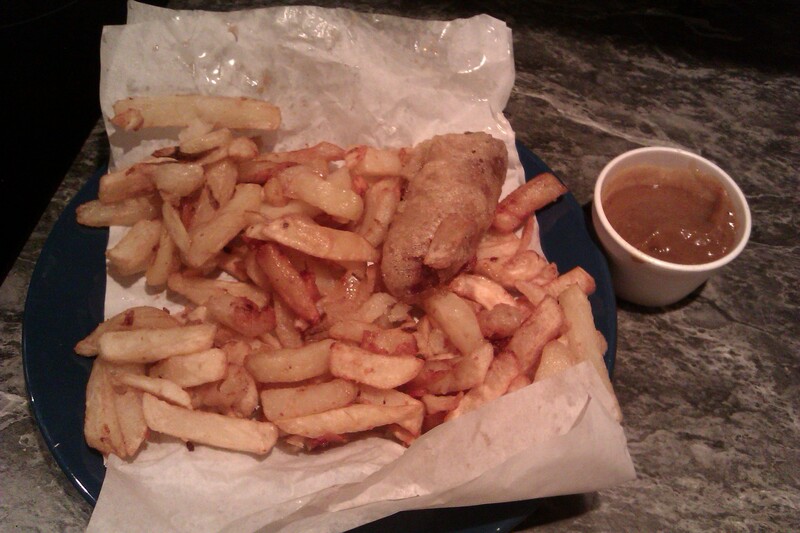 One of the worst things about my lunch time walks around the Barbican is the smell of chips everywhere! 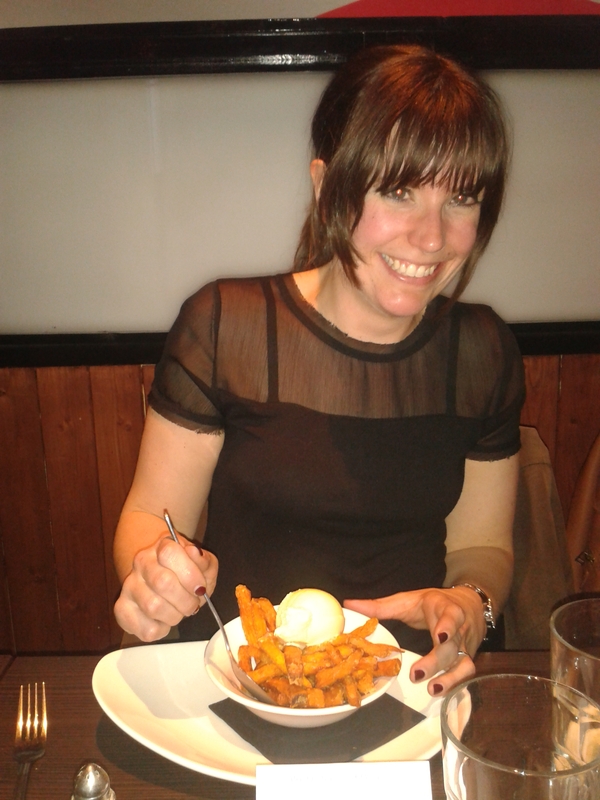 So when Jo decided to take a Coeliac UK training course and open her chippy especially for gluten free customers once a month I could not have been more excited. What many customers fail to appreciate is that a gluten free night was a two day event for Jo, as she would have to spend her Sunday’s steam cleaning the fryers and making sure everything was ready for Monday. I always look forward to the first Monday of every month and it feels like a real treat. It’s also so lovely to see so many happy customers when I stop by. Sadly Jo is moving on to pastures new, so this seems like a good time to thank her for doing gluten free nights for the last year and a bit and wish her every success in the future. Thankfully Jo has convinced the new owner to carry on gluten free nights so I am extremely grateful to her for that too. Alex Gazzola, Health Journo: I really must give a special mention to Alex. A journalist and author of books which include “Coeliac Disease: What you need to know”, Alex is not gluten free himself but plays a huge roll in the gluten free community. His blog, Food Allergy and Intolerance Ink, is loaded with articles helping us wade our way through some of the more complex issues of living with coeliac disease and other allergy/intolerance, not least the minefield of food allergen labelling. I always feel that Alex has our back and is ready to lead us into battle, but the fact he is a gluten eater and all round level headed guy means he is equally well placed to tell us to stop being daft when our battle march is (often) misplaced. Alex seems to have a unique ability to be able to bring us back down to earth when someone has upset us, and give an alternative point of view that will always give us food for thought. It’s great to have someone that can so eloquently give a viewpoint for both sides, and this makes him an important and respected member of the GF community. Bloggers: There is a fabulous network of gluten free bloggers out there. There are so many giving their time to provide recipes, eating out recommendations and tips for living gluten free. I have found so many blogs so helpful since being diagnosed and these guys play such a vital role in the gluten free community. I really appreciate the time you all spend to bring us the latest information and news, and thank you for inspiring me to get involved and have a go! Some of my favourites: Gluten Free Mrs D, Chatty Daisy Days, Fabulously Free From, Gluten Free B, Gluten Free Blogger, Little Missed Gluten, Love Free From, FreeFromFairy, Not a Trace, Positively Coeliac and Wuthering Bites. So many more I could mention and please see my links page for more. Coeliac UK and the local group committees: It would be remiss of me to talk about those who do great good for coeliacs without giving Coeliac UK a mention. We have seen so many more gluten free options recently and this is in part down to the amazing work that this charity do to raise awareness of the condition and encourage and train businesses to provide us with safe options. There has been a great spirit amongst the coeliac community this week for awareness week. I would also like to give a huge pat on the back for all of those volunteering their time for the local groups. Having been on the inside for the past year I’ve been able to see how much work goes into planning events by people who are giving their time for free to help others. If you’ve got good ideas for your local group I really would encourage you to get involved with the committee and help make these things happen. The wife: Of course one last big thank-you from me must go to my wife Abigail. She is the one who cooks me delicious gluten free food on a daily basis, listens to me drone on endlessly about the latest cake or packet of crisps I have found, and looks after me when I have been glutened. She has also be known to fulfil the role of gluten free beer wench at Coeliac UK Plymouth events! I really couldn’t have come as far as I have without her support on a daily basis. Well there are my gluten free heroes, I would love to hear yours so please comment below. A huge thank-you to all the heroes out there!